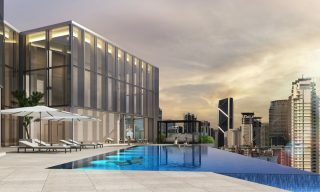 The May debut of the St. Regis Kuala Lumpur marked the brand’s second property in Malaysia, following the opening of its Langkawi resort just a month earlier. 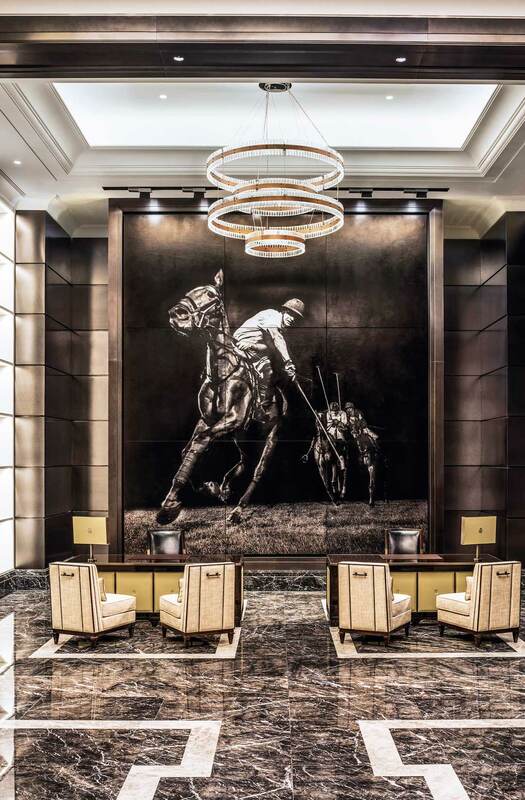 Situated in the KL Sentral precinct, the 208-room hotel has taken polo as a theme, with massive leather engravings of polo scenes dominating the lobby, an immensely chubby Botero horse sculpture installed in the adjacent lounge, and furnishings that feature saddle stitching and buckles. It also houses Taka by Sushi Saito and a 12- seat tempura counter by Tokyo’s Ginza Tenkuni, which began life as a small street stall in 1885. 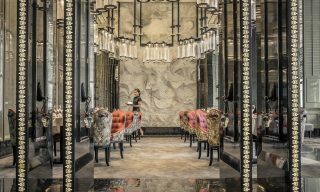 Fresh from a major makeover led by New York–based designer Alexandra Champalimaud, the 18-year-old Ritz-Carlton, Kuala Lumpur is looking better than ever. 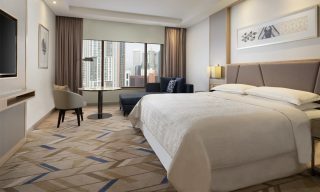 All 364 rooms and suites now come with butler service, as well as elegantly updated decor and furnishings. 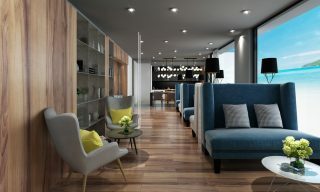 New highlights include The Library—a book-filled lounge with a daily changing menu and a selection of vintage cognacs—and a “sensory sound bath room” for gong therapy in the hotel’s already impressive spa. Taka by Sushi Saito is the first overseas venture by three-Michelin-starred chef Takashi Saito, whose tiny eight-seat establishment in Tokyo is acclaimed as one of the world’s finest sushi restaurants. Though Saito himself will only be on hand a few times a year, resident chef Masashi Kubota has done a good job replicating the quality of the original, using fish flown in thrice-weekly from Japan. Word has it that sushi-savvy Tokyoites are flying in to skip the months-long wait list in their hometown. Elsewhere, comfort food abounds at cheery new spots like garden-themed Botanica+Co in Bangsar and Luce Osteria Contemporanea, which joins an ensemble of other restaurants and bars in the Old Malaya complex below the KL Tower. The pizzas at both are terrific. 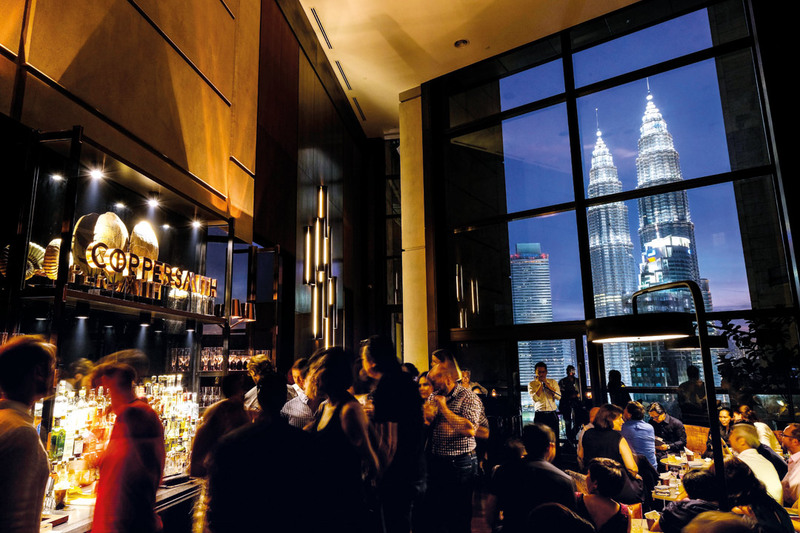 For a sundown cocktail with a wonderful 23rd-story view of the Petronas Twin Towers, head for Troika Sky Dining’s stylish new cocktail bar Coppersmith. 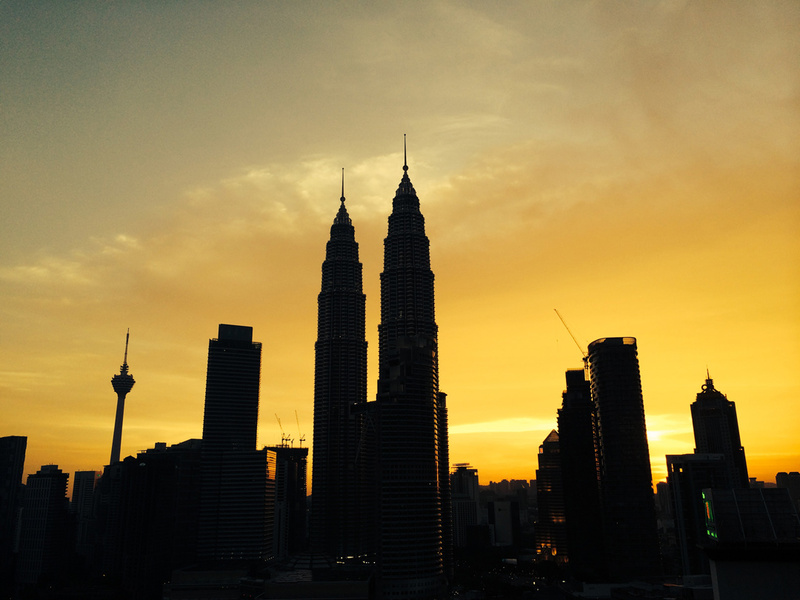 Cocktails at Coppersmith are served with views of the Petronas Twin Towers. It’s worth a visit for the imaginatively cool decor alone, but mixology junkies who think they’ve tried everything should order From the Smith’s Garden— a kopitiam-inspired blend of celery and apple juice, Belvedere vodka, Szechuan foam, thyme, and basil—or Copper Fairies, which gets its kick from Don Julio Reposado tequila and its coloring from house-made blueberry and black-pepper syrup. Inhabiting an old Chinatown warehouse and onetime brothel, PS 150 is an enticingly romantic speakeasy-style cocktail bar that enhances its darkly decadent opium-den appeal—all red lanterns and bare brick—with Asian flavors such as Borneo rice wine, gula melaka syrup, and pandan-infused rum. The asam boi margarita is a knockout. Travels with Samadhi, the tour arm of Samadhi Retreats, has launched a four-hour food excursion via Vespa that takes you in classic style on a culinary tour around KL’s old quarters and backstreets. They also offer motorbike tours around the rice fields of rural Selangor, where you’ll also enjoy a fresh fish lunch. 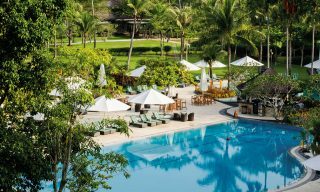 Overlooking the Royal Selangor Golf Club, new food and entertainment complex TREC hosts occasional music-centric Sunday flea markets that are well worth looking out for. The latest edition included stands by local streetwear brands and silk-screeners, with music by Toko Kilat, Jaggfuzzbeats, and other top Malaysian bands. TREC is also home to the legendary Zouk nightclub, which relocated here last year. The best shopping in KL is not in the malls—it’s in the city’s unique standalone shops, especially those that support a cause. Earth Heir is one, a cool ethical fashion outlet that sells handcrafted, one-of-a-kind items and gives 10 percent of its revenue to charities supporting trafficking survivors. I also like Shoes Shoes Shoes, which makes absolutely stunning (and affordable) high heels and sandals. And if you’re craving the sweet stuff, look for chocolate truffles from Cocoraw: delicious local flavors include Ipoh White Coffee and Salted Gula Melaka. 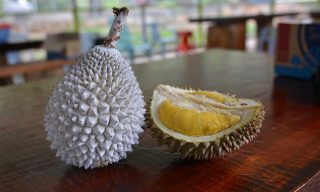 This article originally appeared in the October/November print issue of DestinAsian magazine (“City Guides: Kuala Lumpur”).